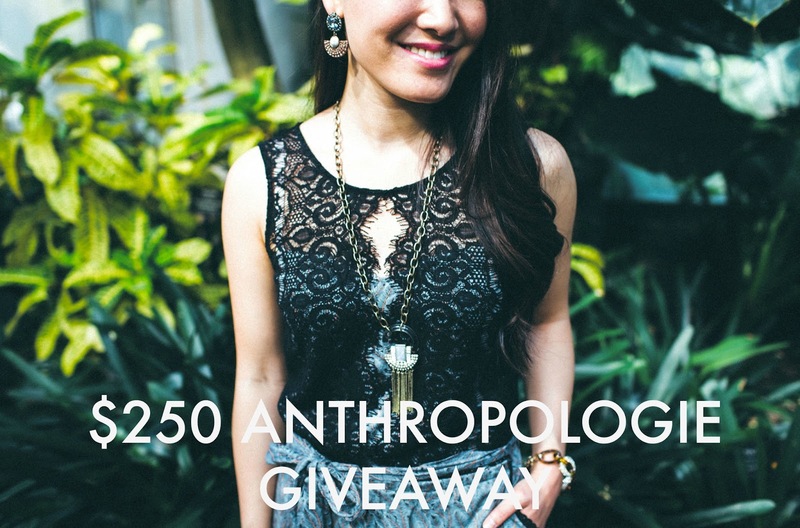 Grace in Style: GIVEAWAY: $250 ANTHROPOLOGIE GIFT CARD! 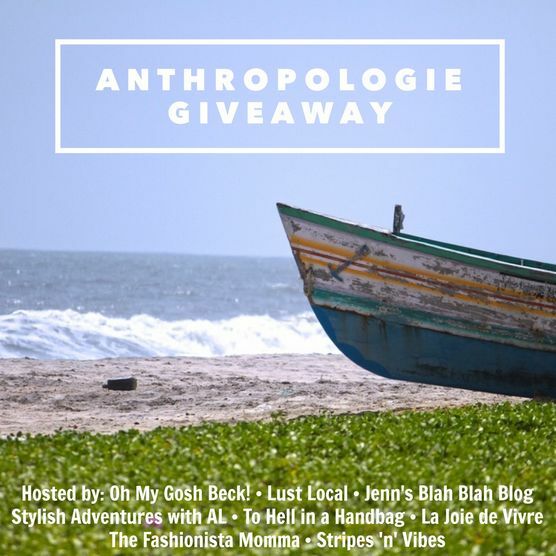 GIVEAWAY: $250 ANTHROPOLOGIE GIFT CARD! Who here is an Anthropologie addict? ME! And I'm not ashamed of it. You can find me scouring their sale section too often. Yup, that's me! So are you one too? Why am I an Anthropologie addict? Well, because they always have unique items (like my last look) that mesh well with my style. Since I was younger, I have never wanted to wear what everyone else wears. If I get caught wearing the same thing as someone else (except when I purposely twin with my best friends), it's kind of like a red carpet nightmare. Just kidding. Kind of. But I think that's why I never really cave into what's "fashionable" because your style should be unique! And Anthropologie gives you options to find your own style. So that's why I'm so excited to be joining a group of awesome bloggers to give you a chance to win $250 to Anthropologie!! GOOD LUCK!! Make sure you enter daily for extra chances to win! I really hope it'll be you! Rules: Use the Rafflecopter form to enter daily. Giveaway ends 5/14 and is open worldwide. Winner will be notified via email.